Dandelion is a popular bitter with a long history of use as an herbal remedy. Dandelion's name comes from the French "dents du lion," or "teeth of the lion," due to the shape of the leaf. 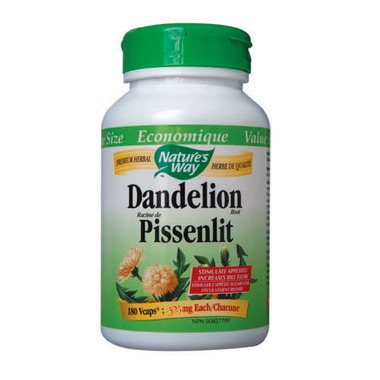 As an herbal remedy, dandelion root is used to stimulate appetite, as well as to increase bile flow. Directions: Adults: Take six capsules three times per day with water at mealtimes. May be used up to 2 weeks. Other Ingredients: Plant-derived capsule, magnesium stearate. Warning: Consult a health care practitioner before use if you are taking diabetes or psychoactive medications. Wonderful way to help gallbladder and liver.